Health Kaizen specializes in improving the health and lives of individuals through a long-term approach to healthcare and wellness. At Health Kaizen, the focus is on optimizing medicine to secure the highest level of health and wellness for their patients. They share that knowledge and passion with other practitioners to spread the wealth of knowledge and enhance the field of medicine as naturally as possible. Health Kaizen’s mission is to enhance and maintain the quality of life for the people they have the opportunity to come into contact with. When they came to our team to produce a website allowing them to connect with like-minded practitioners and patients, we crafted a custom website designed to connect, share, and extend their reach into as many lives as possible. The goal was a website with multiple portals and connection points allowing for clear direction and obvious purpose. The outcome is one of excellence and we’re excited to see the reach Health Kaizen has into the lives of the people this passionate company touches. 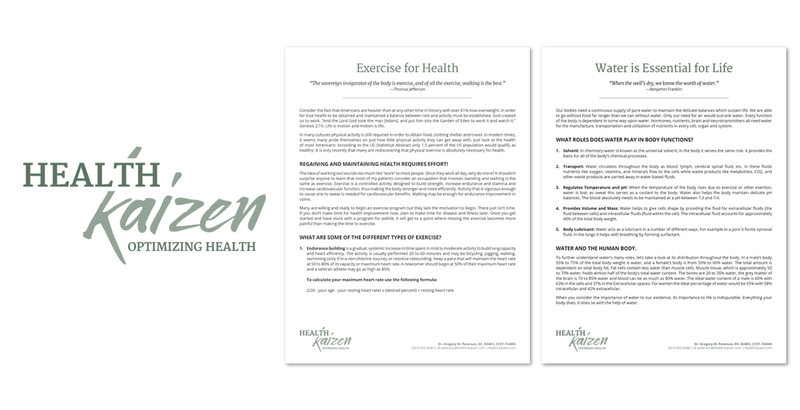 Health Kaizen provides engaging and cutting-edge healthcare information to practitioners and patients looking to optimize health safely, effectively, and naturally. When they sought to develop a central hub on the web to connect the pieces of this healthcare puzzle and increase their reach, they reached out to Blindspot-Advisors. 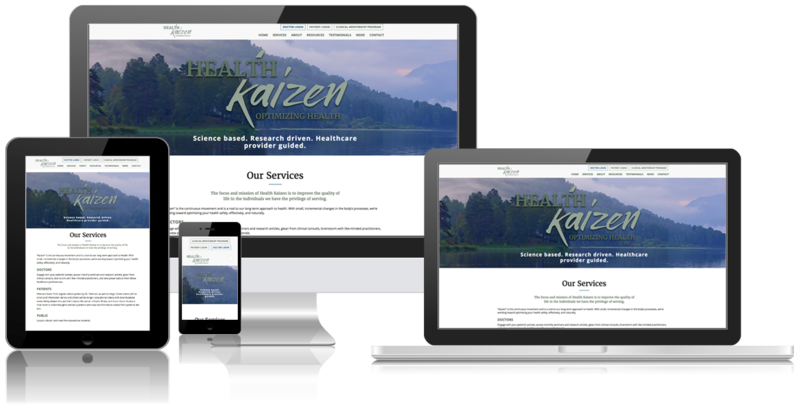 With a new logo and creative identity for branding, a customized website to connect and engage, point of sale materials, and SEO considerations all plugged in, Health Kaizen is in an excellent position to impact innumerable lives. Side by side, Health Kaizen and Blindspot-Advisors are working together to improve the world: life by life, and digital space by digital space.